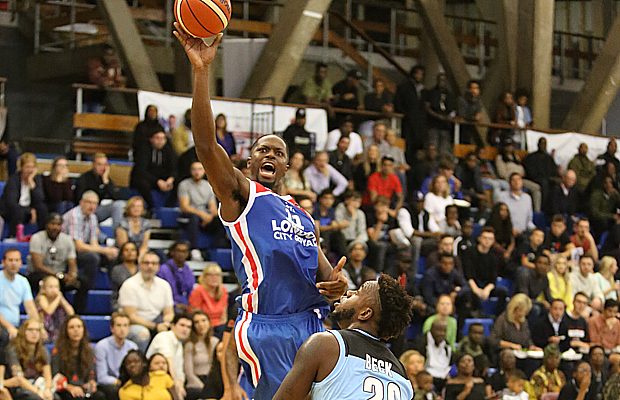 The British Basketball League (BBL) pushed through changes in their Team Payments Cap (TPC) ahead of the 2018-19 season to help fulfil their desire of retaining top British talent in the UK, Hoopsfix can exclusively reveal. Believed to be prompted by the addition of the London City Royals to the league and their intention of eventually signing the likes of Matthew Bryan-Amaning and Ashley Hamilton, and the Leicester Riders now competing in Europe, the league now excludes the salaries of the top two earning British players on each team into the calculation of the TPC of each franchise. “We have an objective as a league (a set of clubs) to have as many of the best British players playing in the BBL as is possible. “Our teams already invest heavily in to their player pathways and as such developing players, it is therefore sensible that we don’t put up any barriers to Clubs retaining the very best of these players (that they are helping to develop). Hoopsfix can reveal that the TPC is currently set at £200,000 per year and the calculation incorporates only emoluments (i.e. no benefits in kind) – and excludes the top two British salaries – as confirmed by the BBL. The TPC – essentially the BBL salary cap just named differently – is generally used to keep overall costs down whilst maintaining a competitive balance to prevent more financially well off clubs from dominating. However, as we have seen in the National Basketball Association (NBA), they can be a major focal point in negotiations between leagues and player unions due to preventing players being able to negotiate higher salaries even if the team is pulling in significant profits. This is not something the BBL will have to contend with at the moment, with no players union currently existing – despite previous calls for it from the likes of GB captain Kieron Achara – and instead the TPC is being used to predominantly try and encourage parity across the league. “We have a Team Payments Cap as we believe it is essential to the ongoing development of the BBL as a League,” Webb added. “In particular to protect and promote the long term strength, competitiveness and viability of the League, and to ensure that the determining factor on the court is primarily sporting merit and not off court financial considerations. Head of Operations at London City Royals, Nhamo Shire believes it is a positive step forward for the game. “Though the salary cap was originally put in place with good intentions, for us to really grow the game and get the best British players back home, we have to move things forward and this is representative of that,” he told Hoopsfix. Meanwhile, Leicester Riders GM Russell Levenston said the new changes are what have made it possible for them to compete in Europe this season. “It’s a positive step forward for our club who have always invested in developing British players, but this means we can be more competitive in the European market with keeping the best British players in the UK. “Because of our ambitions in Europe, we need to not only keep bringing as many of the best British players as possible to Leicester, but also have a deep enough roster with the number of games we will play across the BBL and European competitions. Along with the TPC changes, in another sign that BBL standards are improving, the start of this season has seen all teams across the league play on home courts with basketball lines only for the first time, in a move prompted by Perform to be able to continue showing games on Livebasketball.tv.